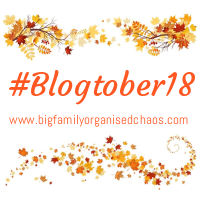 #Blogtober2018 Movies You Have Watched 1000 times! I love today’s theme! There are so many films that I absolutely love and seen so many times! I honestly could write this post forever! But I thought I would just write a quick post with 5 of my favourites! I love The Parent Trap with Lindsay Lohan! I could say it all practically word for word and have watched so many times! When I was younger I always dreamed of going to the Camp where Hallie and Annie go to! As well as the Vineyard where Hallie lives! I honestly just love the film so much! I have watched it a little bit with Lola but it is certainly something that I can’t wait for her to grow up loving! An all time classic that is guaranteed to make me cry. Every. Single. Time. I’m crying way before Jack dies (sorry for ruining it for anybody!) Nothing beats curling up on the sofa with a duvet and candles lit to watch it! I absolutely adore the soundtrack by one of my absolute favourite composers James Horner. I actually used to listen to the soundtrack to fall asleep! Little Rascals is a huge family favourite! When I was younger I used to watch it all the time with my brother and sister! It’s another film where I know it practically word for word! We were all so excited recently to find it on Netflix! It is now certainly one of Lola’s favourites! For ages she kept singing something and we couldn’t work out what it was she was singing! It wasn’t until my sister pointed out it was You are so beautiful from the film! It really is such a funny family film that is super easy watching! How could I leave Moana off the list! Moana is certainly another huge family favourite! It is actually the first film Lola ever saw at the cinema just before she was 1! She sat through the entire film dancing to the music and was absolutely engrossed! We even went again a few weeks later as she loved it so much! The Moana outfit is certainly on her Christmas Wish list this year! Another film where we have heard the soundtrack a ridiculous amount of times! Words can not explain just how excited I was when the most recent Les Miserables was released! It is without a doubt my favourite musical and the cast for this film are absolutely incredible! I know there’s a lot of moaning about a number of the cast but I love it. Honestly I could watch it over and over again and not get bored! I know the words to every single song! The soundtrack used to be on repeat in my car (prior to having children!) It is also another film that I sob through. I think I practically start crying from the beginning and don’t stop until it’s finished! I love The Parent Trap, I can remember seeing the original movie with Hayley Mills when I was a kid, and I was thrilled with the re-make. Ahh! Titanic gets me every time too! I still can’t believe Jack died.